True to its commitment to the promotion of Industry 4.0 and the development of smart factories in the sheet metal and metal sector, Lantek, a multinational pioneer in the digital transformation of the industrial metal sector, announces that it will be present as an exhibitor at the Spanish Machine Tool Biennial (BIEMH 2018), to be held in Bilbao (Spain) from 28 May to 1 June. The company will be located in pavilion 5 - Stand F-36. BIEMH is the largest Machine-Tool, Industry 4.0 and advanced manufacturing event in the country, which is held every two years, bringing together 1,500 companies and more than 40,000 professionals from around the world from sectors such as the automotive industry; the aerospace and aeronautics and auxiliary industry; capital equipment; metal constructions; energy generation; the rail industry; subcontracting in machining and sheet metal work, molds and dies, among others. Within this framework, the Basque multinational will take advantage of its presence in this 30th edition of the trade fair to present its latest innovations in the field of Industry 4.0 to companies and manufacturers from around the world and demonstrate how its solutions and services offering can be implemented to make projects of the future a reality, "placing the metal and sheet metal transformation industry on the path of digitalization to make it more competitive", as Joseba Montoya, Lantek’s sales manager for Spain and Portugal, declared. "We want to propose alternatives so that manufacturers from our sector can see how it’s possible to redefine processes using technology and, above all, how to do it in a simple way. BIEMH 2018 is the perfect scenario to demonstrate this to the world", the company’s sales manager added. Technological advances in industry such as the Internet of Things (IoT), cyber-physical systems, the Cloud, Machine Learning and Big Data analytical tools or artificial intelligence (AI), among other technologies, have already been applied to the industrial environment and help significantly improve the efficiency of organizations, reaching levels never before seen. 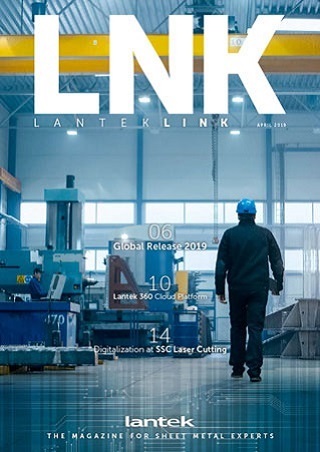 In this regard, Lantek wants to make these advances in its sector accessible, using its technological offering to facilitate the automation of processes, as well as the integration and interconnection of production systems and tasks. During the trade fair, Lantek will demonstrate in real time how it manages to digitalize the production of the company from the workshop through to all its departments. The visitor will be able to experiment with real data from a complete analysis of all the information generated by their company. In this way, Lantek solutions reduce the complexity of the day-to-day work in factories and provide greater coordination, control and 360º visibility of the status of each process, providing the factory with greater agility and flexibility to adapt to market demand at all times. Lantek is a multinational which is leading the digital transformation of companies in the sheet metal and metal industry. With its patented manufacturing intelligence software, it enables factories to be connected, turning them into Smart Factories. It round off its range of services with CAD/CAM/MES/ERP solutions for companies that manufacture metal parts from sheet metal, tubes and profiles using any cutting technology (laser, plasma, oxycut, waterjet, shearing and punching). 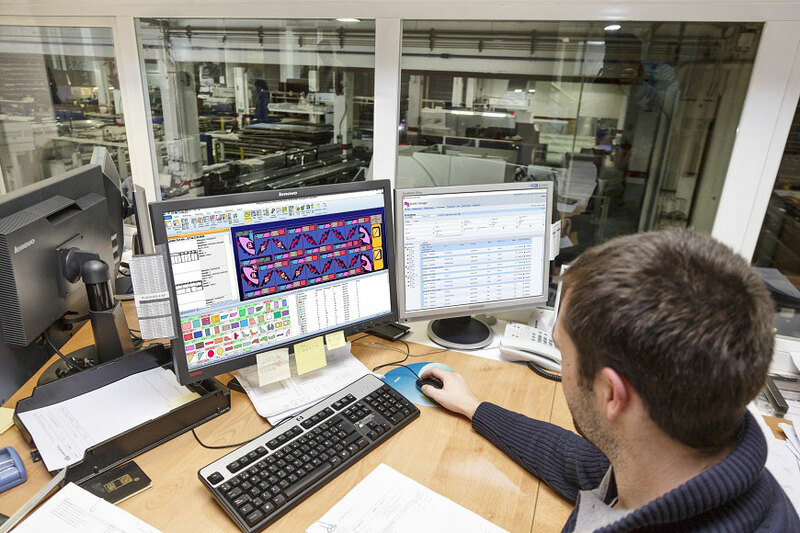 Founded in 1986 in the Basque Country (Spain), one of the main European hubs of machine tool development, Lantek enables the integration of sheet metal and metal processing technologies using the most advanced manufacturing management software. The company is currently the outstanding leader in its sector thanks to its capacity for innovation and commitment to internationalization. With more than 20,000 customers in over 100 countries and 20 own offices in 14 countries, it has an extensive network of distributors with an international presence. In 2017, its international business contributed to 86% of its revenue.